- for children 2-7 years old. 10 videos with moves to music, in each app. Kids dance with Pirate Sessa is fun! & develops the child's motor skills. - dance where ever, when ever! Kids dance apps by Pirate Sessa is for children 2-7 years old who like to dance. Fun activity for children – both boys and girls. Videos with easy dance moves for kids to do at home in the living room, as birthday party activity or in school. The apps make dance accessible – and easy, the kids just watch dance videos and mimic. Children can dance by themselves or in a group using the apps. The basic idea of Pirate Sessa’s kids dance is to stimulate children’s creativity, coordination skills and ability to concentre with the joy of movement and imagination. To inspire children to move and use their bodies in a fun and natural way. Movement to music is great for coordination, ability to focus and sense of rhythm. Skills which in turn is useful in school and in almost all sports. Ability to concentrate and stay focused is important in school work and to kick or throw a ball in the right direction at the right time requires both coordination and rhythm. Movement to music also enhances self-esteem. Dancing as a child can lead to better self-esteem and increases the chance that the child keeps it’s courage to move to music even as a teenager or adult. The apps contains simple dance moves for kids – just imitate and follow along. The dance moves are inspired by things that children aged 2-7 years will recognize. First concern is the joy of movement. There are no demands when kids dance with the Pirate Sessa and it’s not necessary to do the moves exactly like Pirate Sessa. 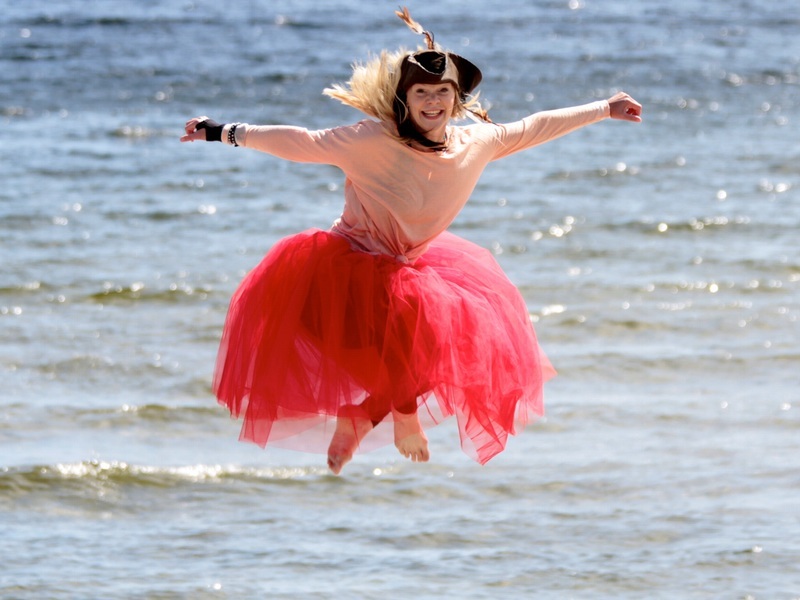 The Pirate Sessa think it’s important that children get to dance as the child thinks is fun – freedom of movement! Children who are dancing should get to feel good, any way they do the moves. It boosts their self-esteem. So, let the kids be allowed to do their own versions of the moves and dance without anyone judging. The way each child chooses to do a dance or movement – is exactly the right way. The teaching method is called mirroring – watch and imitate. Children learn a lot by watching and doing. The pedagogy is ”watching and imitating” and there are no verbal instructions. It’s not necessary – kids understand what it’s about anyway. Verbal instructions is something that adults are more used to than children are. Children learn much by first looking and then do about the same, right from infancy. It’s easy to get started with the kids dance videos, just press play. The child will soon begin to do the dance moves in its own way. At first, he or she may sit and watch, that’s perfectly okay and very common. That’s how many kids learn – to look first and then do, often several times. Sooner or later he och she will start moving and try to follow along. It’s great if you as an adult say the dance titles loud the first few times you use the dance videos, ”now it’s the Butterfly Dance” for example. easily switch between the favorite dances and recognize them just by looking at the pictures that symbolize each dance. Your child probably find some favorite dances, and they might vary over time. Encourage your child’s creativity and joy of movement with positive comments, say for example, ”this is fun, you are a great dancer and teacher” and do what ever she or he is doing. The child feels proud and think it’s fun to play the leader. The Pirate Sessa believes in freedom of movement, and thinks that children who are dancing should get to feel good about them selves and the moves, however they are doing the moves. Therefore – any way a child is doing the moves – is a great way. 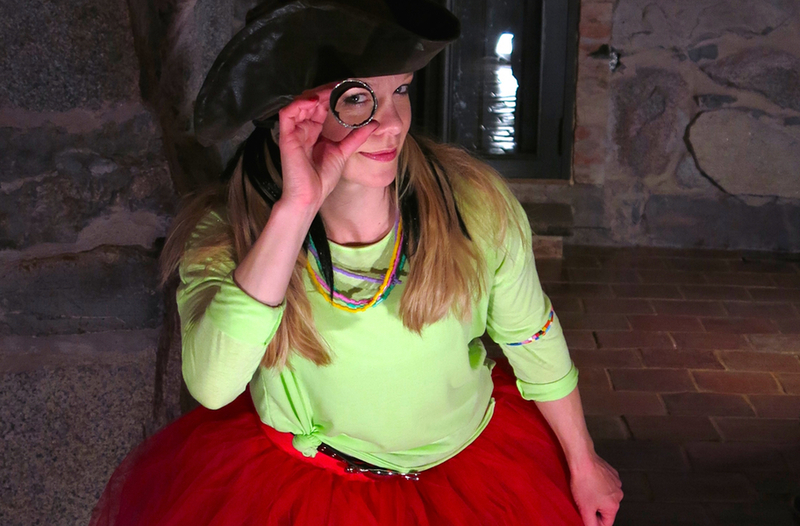 Pirate Sessa wants all kids to feel ”I’m great at this” when dancing. So, parents, and other adults, do not correct the child’s dance moves – it’s more than alright to do own versions of all the dances. The Pirate Sessa’s kids dance videos are meant to be a fun and undemanding activity. Let dancing kids develop the dance moves at their own pace and in their own way. It doesn’t matter if the child is flapping his arms forward instead of backward – the important thing is that the child has fun! Anyone dancing is allowed to do their own versions of the moves and dance without anyone judging (including you). The kids dance videos and the kids dance songs are produced in a way so that children can use the dances themselves. This means that Mom or Dad doesn’t always have to be dancing with the child – Pirate Sessa can arrange for the entertainment while dinner is cooked, for example. The apps contain NO ”in-app purchase” or similar – as an adult, you can be calm when your child uses the app. Place the iPad/iPhone stable and start the app, then children can easily switch between dances themselves. Some children follow the dances step by step. Other kids check out the moves and use the dances as inspiration – and then dance however, inspired by the dances. Both ways are as common. Both ways are OK – the important thing is that children feel the joy of movement when dancing with the Pirate Sessa. To just dance! And if you use the apps on Apple TV – the apps work the same way. Most kids love to dance, boys and girls and the activity is as much fun alone as with others. Dance can be done in many ways, the most important thing is to let small children dance the way they want to, without anyone judging. The moves are designed to be performed in different ways, this way a 2 year old can do the dances together with a 4 year old and they both have fun and feel successful. So siblings can do kids dance at home and have fun together. When children dance with the Pirate Sessa in group, for example if they have access to the apps on an iPad in school, or at a birthday party – they tend to either look together and imitate or they take turns watching alternated with dancing. Children in group usually cooperate well when they dance with Pirate Sessa, it tends to go smoothly by itself. If you want to – you can organize a kids birthday party with an iPad set up in a room and one of Pirate Sessa’s kids dance apps (and maybe also a disco light). If you as an adult wants to do the dancing part a bit more organized at the kids dance birthday party – here are a few dance party tips. It’s also possible to use Pirate Sessa’s dances to start a kids dance group, you can use both choreography and music. If you want to you can start a kids dance group in your city or in school in the neighborhood. You’ll find tips for starting a kids dance group here. Kids dance is a fun way to be active and great to create healthy habits. Being encouraged to be active and embrace a healthy lifestyle at an early age provides a great foundation for a healthy life as a teenager and adult too. Introducing healthy habits in a fun, playful way increases the possibility that children will develop a positive attitude to exercise. So. Dancing and living an active lifestyle as a child – and chances are that movement becomes a natural part of life – forever! The apps are available in the App Store for iPad, iPhone and Apple TV. Each dance and video has a theme that the child can relate to – with simple dance moves so that your child can follow along directly. 10 kids dance videos where you get to hang out with Pirate Sessa in her mother’s castle – and do dances with moves inspired by the butterfly, police car, robot, airplane, horse, tiger, frog, scissors, bear and freeze dance. Video and music for each dance in the app Kids Dance with the Pirate Sessa in the Castle. 10 kids dance videos where you get to dance with Pirate Sessa in her father’s dungeon to dance and have fun. The dance moves are inspired by the helicopter, mosquito, sun, indian, lion, train, detective, bounce ball, skiing and freeze dance. Video and music for each dance in the app Kids Dance with the Pirate Sessa in the Dungeon. Greetings to YOU from Pirate Sessa’s treasure hunting (then you can click forward for the next short story) (a tip is to tell one story at the time, perhaps after dancing or in the couch or as abedtime story). I got a message in a bottle! Now – my treasure chest is open! Join Pirate Sessa in a fantastic dance adventure at the castle. So much fun we'll have when we dance! Ooh what a spooky dungeon! But that doesn't stop us from dancing and having fun. Come along!